Ever wondered what an overland journey entails for an expert? Renowned travel writer Philip Briggs ponders his past journeys, favourite travel items, top tips for aspiring authors and more. 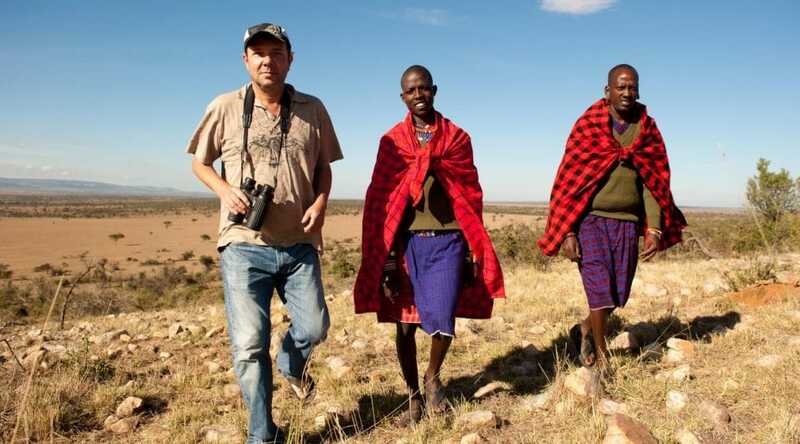 Probably the most prolific author of guidebooks about Africa, Philip Briggs first backpacked from Nairobi to Cape Town in 1986 and has spent as much time on the road as possible ever since. 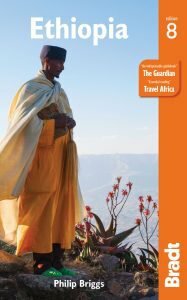 His pioneering Bradt Guides to Tanzania, Uganda, Ethiopia, Malawi, Mozambique, Ghana and Rwanda were first published in the 1990s and several editions later they remain the most comprehensive guidebooks to these countries. 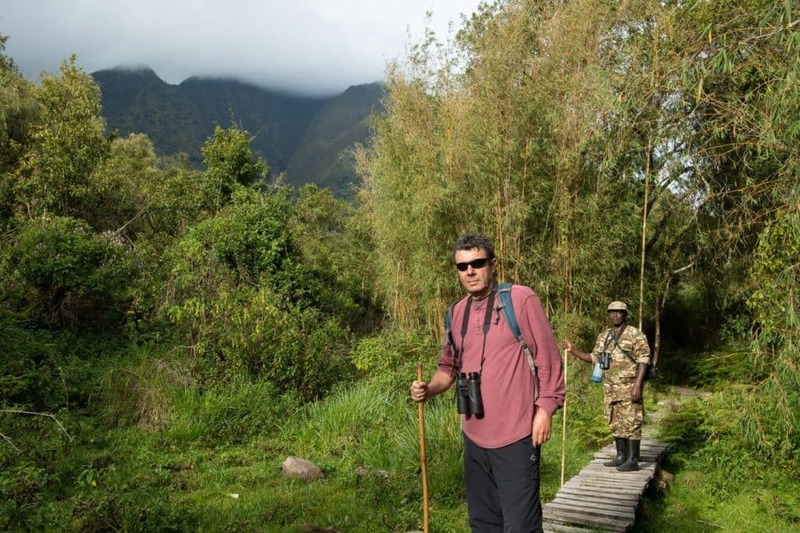 He has also authored Bradt Guides to East African Wildlife, Somaliland, The Gambia and – outside of Africa – Suriname and Sri Lanka. How many days/weeks a year do you spend on the road? How many kilometres do you average in a year? It varies. Probably about four months. It’s honestly never crossed my mind to count kilometres, and it would depend on which countries I visit – Rwanda, for instance, is a lot smaller than Ethiopia. Which African countries do you happily return to again and again, and why? For me, wildlife-oriented countries such as Tanzania or Uganda stand up best to multiple visits. Every day I’m out in a game reserve or forest, I see new things and have different experiences. Most of my books require updating every three to four years, and I find that countries where the main attractions are cultural or historical tend to have more of a ‘been there, done that’ quality when I revisit. 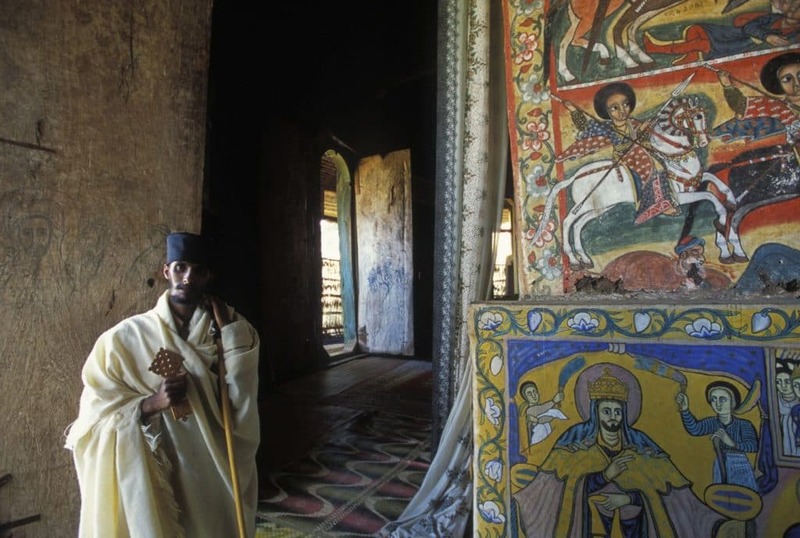 That said, Ethiopia, where culture is pretty high in the mix, is quite possibly my all-time favourite repeat destination – it’s just so way out and different. I need my Ethio-fix every few years! What does your typical day look like when visiting a destination you’re researching? There’s more than one type of ‘typical day’. There’s your sweaty urban updating day, which involves plodding methodically around town, marking up all changes on your map, and popping into hotels, restaurants, bus stations and places of interest to see what’s cooking there. There are game reserve days and forest/hiking days – both good! And site-hopping days, which I really enjoy, driving from A to B, checking out whatever odds and sods happen to lie along the way. Then there’s the occasional chill-out day, which is usually a logistically enforced event that allows me to (re)discover that I’m lousy at just doing nothing. What qualities should an aspiring guidebook author have? A genuine love of travel for its own sake. The ability to do it on a nothing budget. A broad-ranging interest in wildlife, history, culture, arts and the sort of weird esoteric stuff that off-the-beaten-track places tend to throw up. A tolerable level of fitness. To be reasonably well-organised and pay attention to detail. The ability to look at any attraction or amenity from the perspective of its target market, and to make a professional assessment without allowing personal opinion to intrude unduly. And, while you don’t need to be flashy or gifted, being a clear and competent writer helps too. Hiking through the dense rainforest in Mgahinga Gorilla National Park, Uganda. Situated in the southwestern part of the country, it is one of the few places in the world where you can spot the elusive mountain gorillas. Aside from your working tools, what is your most essential travel item? Kindle and iPod. I refuse to choose between them. Do you prefer to use a paper map or GPS to find your way? Paper maps until recently. Self-driving in Greece and Macedonia last year, I became a convert to maps apps. Do you have a ritual when you arrive in a new destination? Panic at the prospect of covering (or updating) it in the limited time available. Then do exactly that. Relax with a beer. Move on to the next place. What was your overlanding trip from hell and what went wrong? My most hellish days were often with what passed for public transport in remote corners of Africa in the 1990s. Bouncing around the back of a sealed truck carrying a cargo of timber on the rutted track that connected Katavi National Park to Sumbawanga. A full day of relentless sun exposure in a sardine tin-impersonating pick-up truck in Ethiopia. A standing-room only bus ride on maybe the world’s dustiest road in northern Ghana. 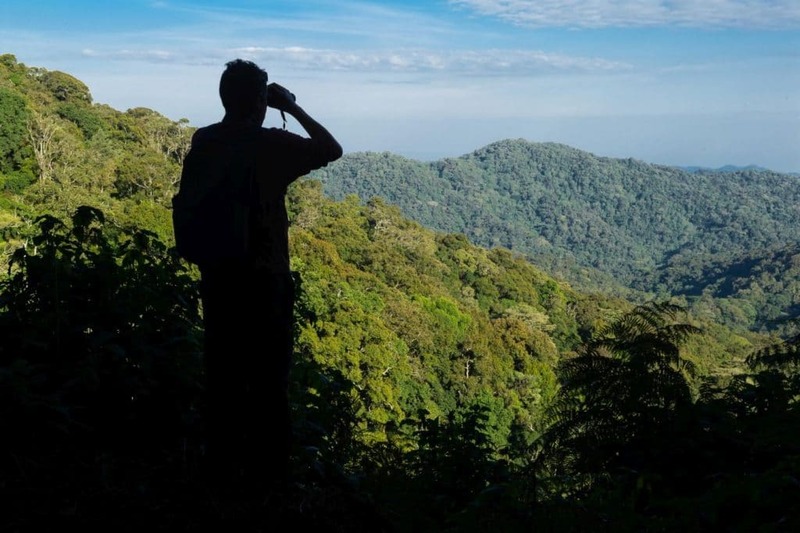 High up in Uganda’s Bwindi Impenetrable National Park, scanning the landscape in search of birdlife. What is your favourite quality in an overlanding companion? My wife and I met travelling in Malawi in 1995. Since then I’ve done 90 percent of my travel with her. She is a travel photographer with her own stock library, and while occasionally our agendas might clash, it generally works to be with someone who’s on their own mission. As for a hypothetical travel companion, I’ve not given it much thought. I actually quite enjoy travelling solo, as I engage more with people I meet along the way. I’d definitely rather go solo than hook up with someone else just for the sake of it. What is the appeal of remote, long-distance travel? Lack of routine. Every day being different. Spending so much time outdoors. The whole package. At least until I hit that point where days and places and people start to blur, and I know I’m ready to go home. 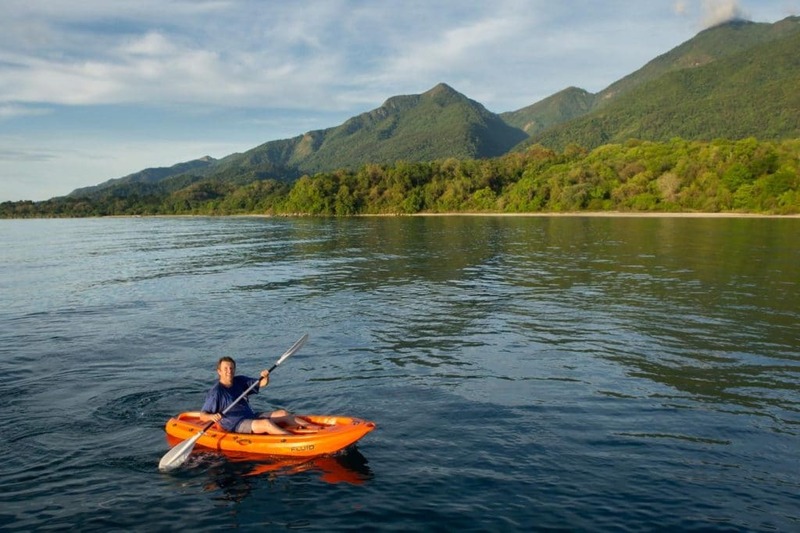 Taking a canoe trip along Lake Tanganyika in Mahale Mountains National Park, Tanzania. What type of person is suited to independent overlanding in Africa? And who should avoid it altogether? 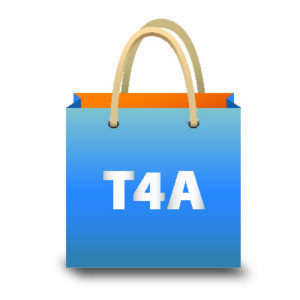 Travel Africa with confidence using one of T4A’s self-drive guidebooks. The latest editions feature detailed maps, suggested itineraries, and updated accommodation and camping information.